It was the pretzel crust that sold me on this one. 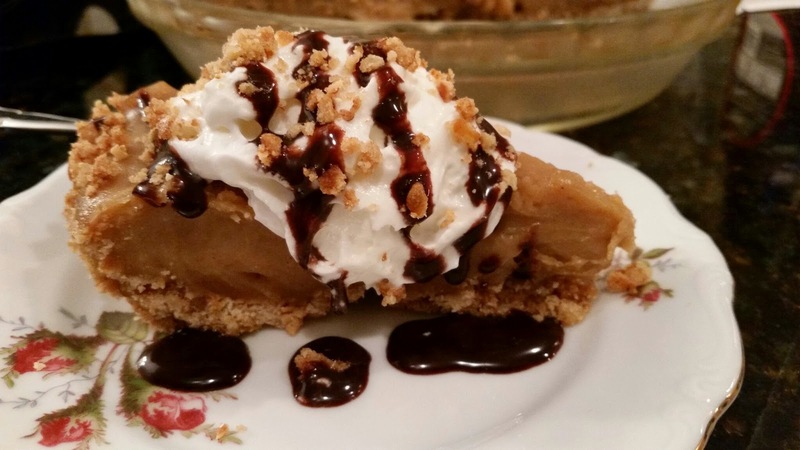 That, and one of my fathers-in-law (Fred) loves peanut butter pie, so I'm always looking for that perfect recipe. This might be the one! Bake for 10-12 minutes or until browned around the edges. Let cool completely on a wire rack before use. Melt 1/2 cup butter in the saucepan; mix in sugar, flour, and salt, then add milk. Cook over medium heat, stirring, until bubbles start to form around edges. Beat egg yolks in a small bowl. Slowly add 1/2 cup or so of the hot milk mixture to egg yolks, stirring the whole time. Add egg yolk mixture to saucepan and continue cooking, stirring constantly, until mixture thickens. Pour into pie crust. Let cool to room temperature and then refrigerate until well chilled. Serve with whipped cream and a drizzle of chocolate syrup. 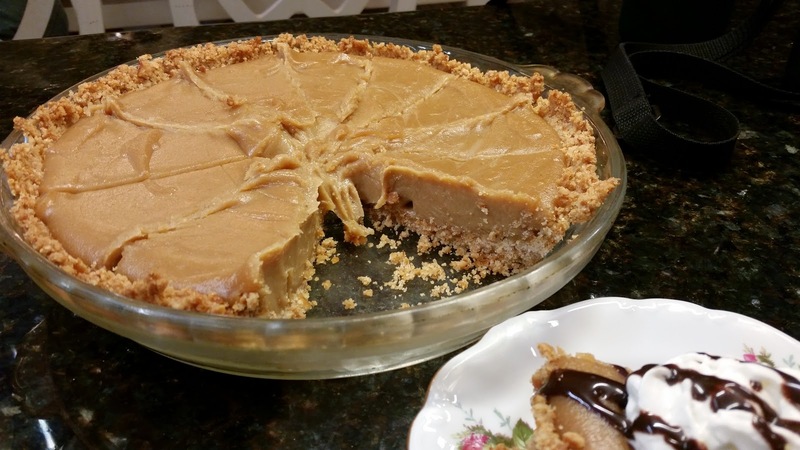 So many peanut butter pie recipes don't really call for much peanut butter, but this one has a whole cup, and it is full of peanut butter flavor. It's a really rich and creamy pie, so a small piece is all you really need. At least it's all I need. My guys would be happy with bigger pieces, but smaller pieces mean the pie lasts longer, right? 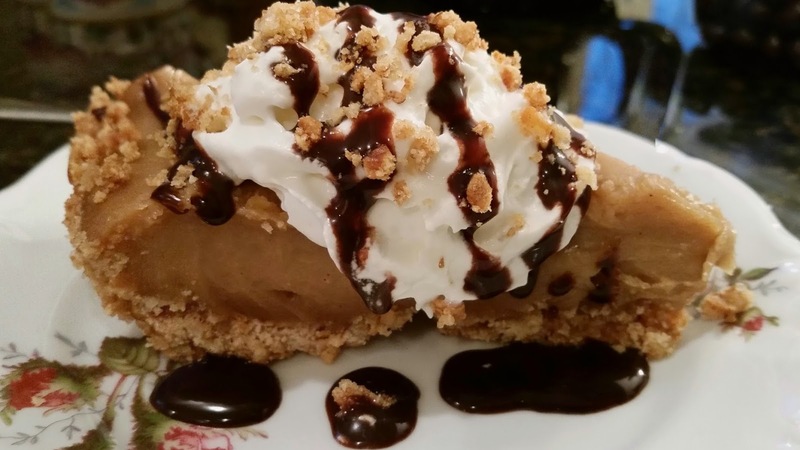 A dollop of whipped cream - ours came from a can - and a drizzle of chocolate syrup, because peanut butter needs some chocolate, and this pie is amazing. I also took some of the crumbs left in the pie plate and sprinkled them on top, because they just looked pretty.